While the winter season is certainly not the favorite time of the year to move houses, it still has to done due to one important reason or another. However, moving homes during the winter season is not always an easy thing as it is often hampered by the snow as well as the single or multiple digit temperatures. Being ready in mind and body as well as knowing how to go about a winter move can make the whole undertaking simpler and smooth on your end. This said, here are a number of things that can guarantee your winter relocation is done in a hassle free manner or without a hitch. 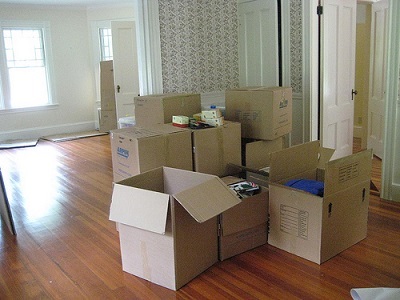 •	Pack the heavier items into smaller boxes and bulky ones into larger boxes. Make sure to keep the boxes at 50 pounds or less while at it. Before moving into your new home, it is recommended that you make sure all utilities in it are up and running. There is nothing is bad as getting to a new home or destination only to realize that you do not have electricity, particularly during the pipe freezing months of the year. This is something that should have been taken care of days before the move. Confirm the closing with your realtor or Mortgage Company one week before the move. It is not fun to find out that the closing has been postponed or is delayed while half of your possessions are on the moving truck and the temperatures outside are minus 4°. It is important to protect the flooring during a winter move. Although the majority of homeowners would love for the movers the honor their request of taking off their shoes, it doesn’t make sense to put them on and off every time they are entering or leaving the house. If you have ever tried to take off shoes while a 300lbs armoire, then you know how hard and dangerous it can be to attempt to remove them while holding heavy pieces of furniture. In fact what this does is only to add time and costs to the move. The most realistic option is to add moving pads or floor protection on your floor. These will do a good job of protecting the flooring while keeping things tidy during the move. Apart from this, it is a great way to reduce the costs as you won’t be forced to clean the floor before closing the old home. Ensure to be ready for the moving truck and the movers by clearing snow as well as ice from the driveways, pathways, and sidewalks. And while at it, do remember to put salt down to minimize floor slipperiness. Note, the less slippery the surfaces, the safer and more efficient your move will be. Clearing of ice and snow from the surfaces should also be done on the other location for the same reasons. Simply put, clearing the loading site and the end destination makes the whole move less problematic as well as time and cost effective. Floor clearing need to be done a day before the move with any extra done at least half hour prior to the arrival of the movers and the moving truck. •	Consider storing items you don’t have room for but wish to keep if you are moving to a smaller house. All in all, being prepared for the move guarantees a stress free and successful relocation. While the above moving tips are just but a few, they are some of most important ones. They will help a winter move to go on without a hitch while staying safe as well as within the set budget. ←How Should You Review Home Relocation Estimates?